Happy Tuesday everyone. I hope you enjoy this wonderful guest post today. Hello, everyone! I'm Mari and I write for Arcadian Lighting, the online place to find light fixtures in all styles, along with lighting ideas and trends. It's so exciting to be here at I'm So Vintage to share a guest post with you. 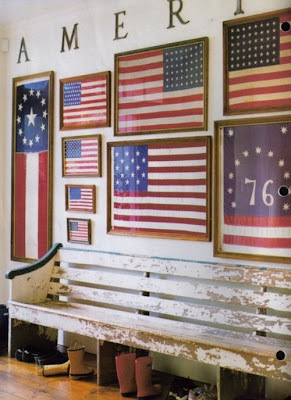 My topic today is Americana in home decor. This appealing look is often associated with country or farmhouse style, but it's surprisingly versatile, fitting beautifully into eclectic, contemporary and coastal homes as well. 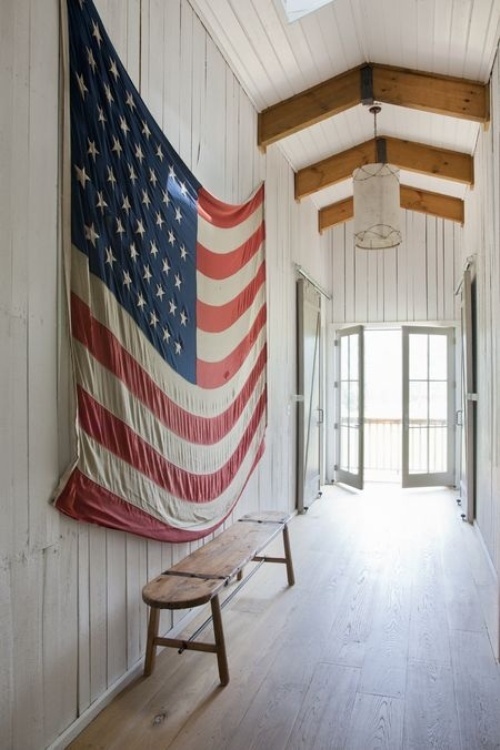 Infusing spaces with the look of Americana is what the following images are all about. Please enjoy! This entry hall should be called minimalist Americana I think. A contemporary shaded pendant light stands in stark contrast to the carefully draped American flag on the wall. This foyer is done in Early American vintage style very evident in the formally framed flags turned into wall gallery with AMERICA spelled across the long wall. 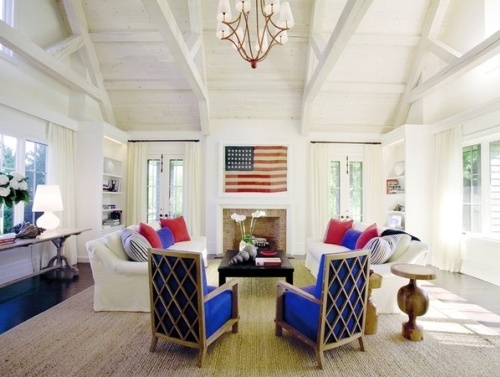 With an American flag hanging over the fireplace, the color story here had to be red, white and blue. The blues are a surprisingly brilliant hue, making for a more contemporary feel. 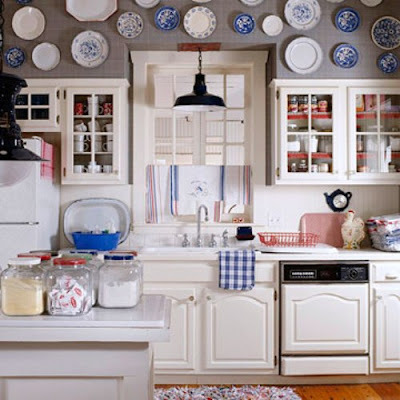 With no flags in sight, this vintage kitchen carries off Americana style beautifully with a collection of blue and white plates on the wall above glass-fronted cabinets and dishtowels on the countertop, along with touches of red. I wish we could more clearly see the red, white and blue rag rug. It's such an intriguing look. Stars and checks instead of stripes cover the beds in this room for three boys. The small slender lamps with red shades are perfect for reading in bed. 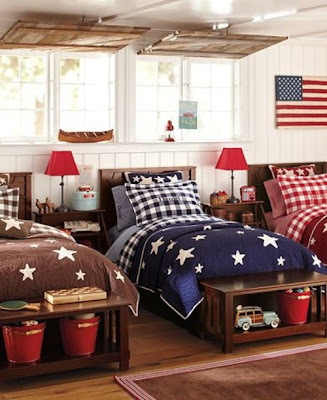 I love the inclusion of the surprising brown bedding in this Americana themed space. 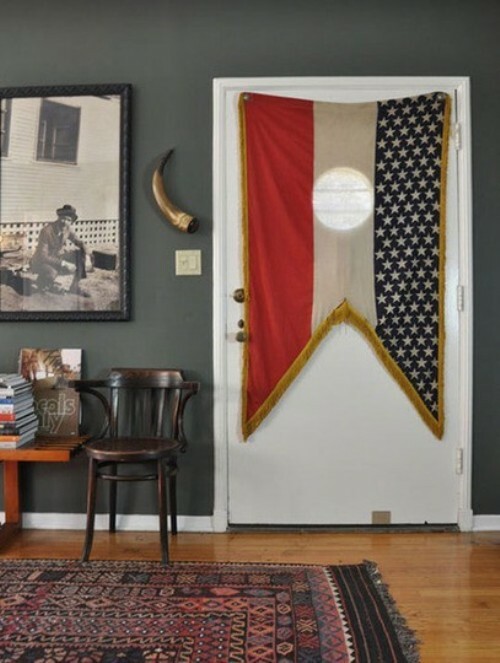 This eclectic vintage space gets a touch of Americana from a flag-inspired banner draped on the front door. Americana goes coastal in this crisp white room with red checked sofa and blue and white stripes on the overstuffed chair and ottoman. Shall we finish with a dream space filled with Americana? 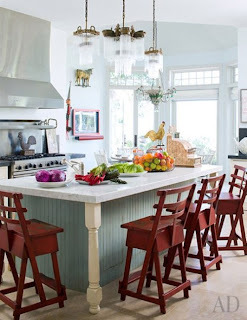 Sharon Osbourne's kitchen was done by Martyn Lawrence Bullard who used pieces from her extensive Americana collection to add a personal touch to the design. The stunning pendant lights are so totally unexpected, but work beautifully in this "country house." Feeling inspired? Let us know in the comments! If you are in the mood for something a bit more modern, then you should go here. 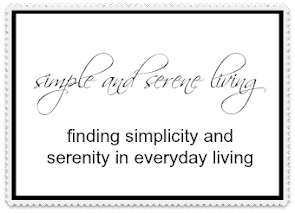 Thank you, Mari and Arcadian Home Decor for this beautiful and inspiring post. Perfect timing with July the 4th just around the corner. Gorgeous!! I love how well Americana fits in home decor, I for one, love the American flag style, specially the bed spreads! Thanks for these great images. Laura, thanks for having a guest host. I love seeing other sites at my 'main' site peeps places. hahaha. Have a lovely day!!!! Such beautiful, and inspirational, decor! What fun! 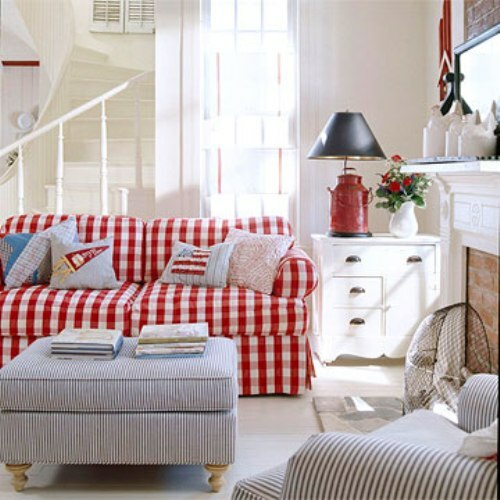 Love the red and white checkered couch. Yippee Laura! You and I have the same taste in fooooods! Whahoo! I love it when I find a fellow (non-beef) eater. Not THAT is living the American dream! It all looks so homey and bright. If it inspires me to do anything, it's to hang my flag out more. The framed flags are my favorites. I have my office in a patriotic theme of sorts I am hooked on presidents. We have a few flags for color. I thought it would be easy but it's not. I think it is the time periods of the photos of the presidents that are throwing it off. Maybe these rooms will inspire me to keep at it. There is something very comforting about Americana. I always think of Ralph Lauren. I love Sharon Osborne's decorating style. There was a recent article featuring the Osborne home in Architectural Digest. It was so inspiring. I popped in to see how you are doing. LOVE this post...I love all things Americana! SO pretty. The American coastal living room is so pretty....I would love m y living room to look just like it!